The group "Molecular Chemistry and Solid-state Engineering" (CMOS) belongs to the "Molecular and Macromolecular" Department. It gathers 11 permanent researchers, assistant-professors and professors, 7 technical and administrative staff, and an average of 15 PhD and post-doctoral students. 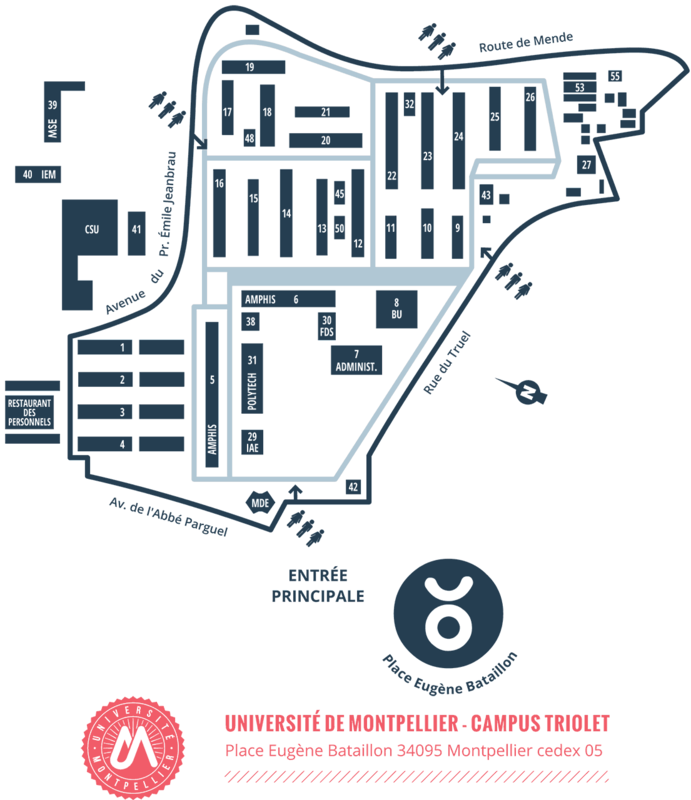 The lab is located at the building 17 of the campus "Triolet" of the University of Montpellier. CMOS researchers are chemists and physical chemists who develop innovative methods for the synthesis, organization, and control of surface/interface properties of inorganic,organic and hybrid materials. The targeted applications are in the fields of heterogeneous catalysis, separation, energy storage and health, and they are developed in partnership with specialists of these fields. L'équipe Chimie Moléculaire et Organisation du Solide se situe dans l’enceinte de l’Université de Montpellier, Faculté des Sciences ( bâtiment 17 , RC et 1er étage). Équipe "CHIMIE MOLÉCULAIRE ET ORGANISATION DU SOLIDE"